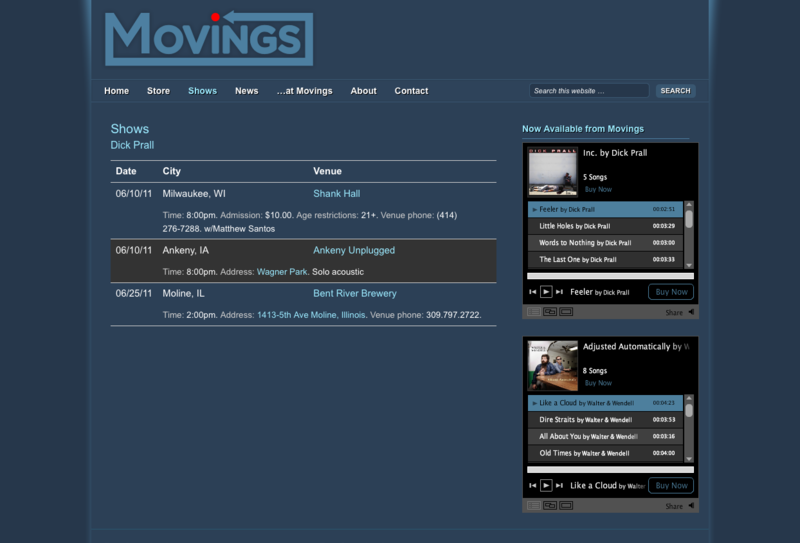 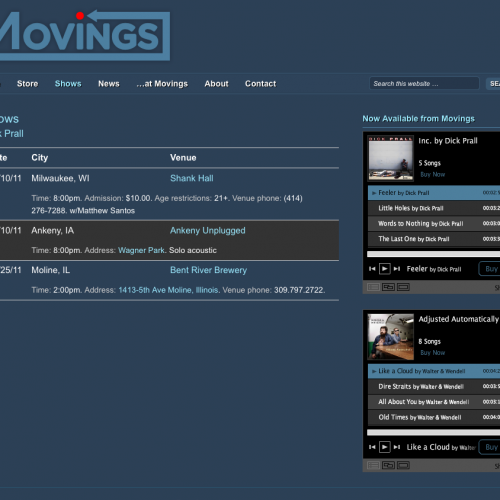 Movings is an all-digital label based out of Chicago that launched in early 2011. 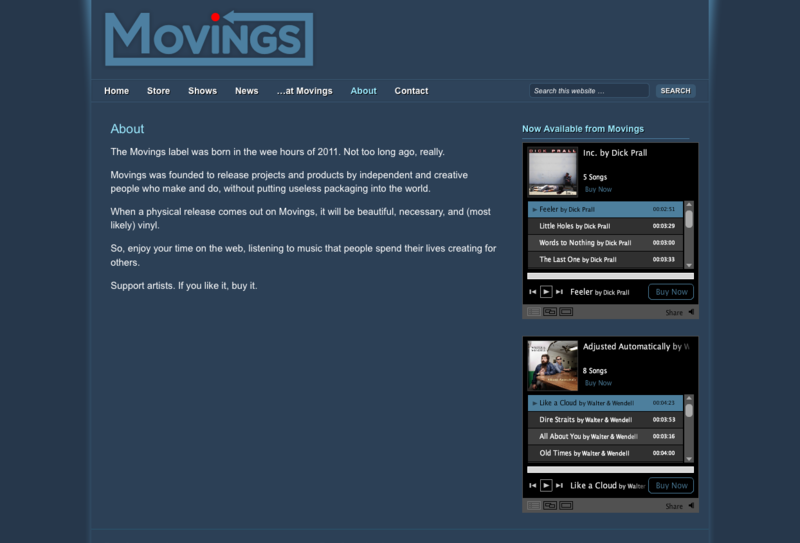 Movings asked me to create a logo as well as a Genesis Framework child theme based on the StudioPress Amped parent theme. 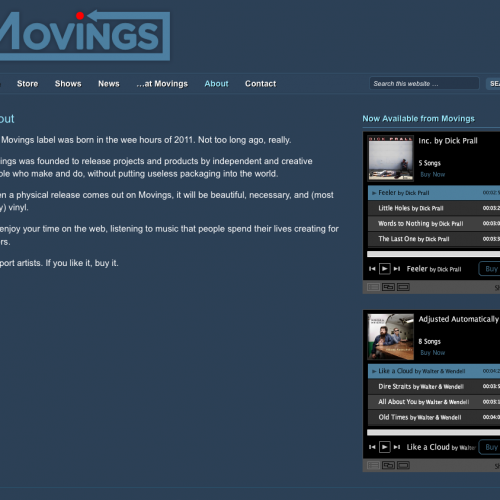 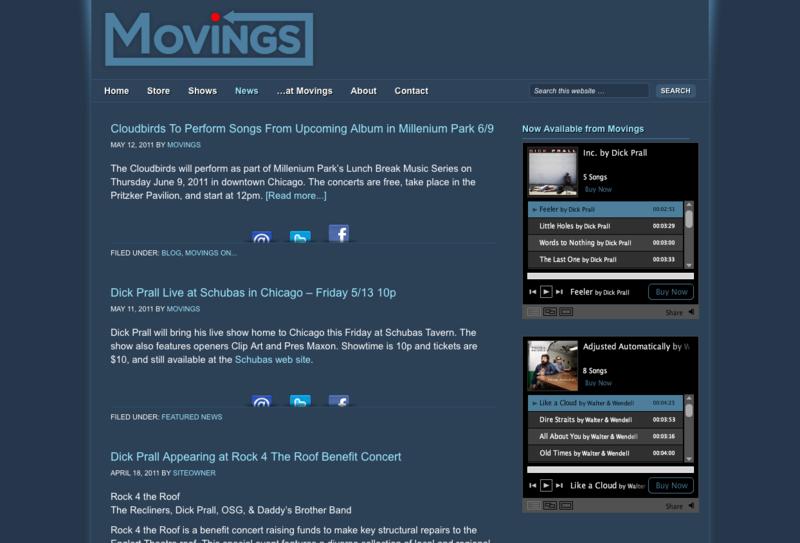 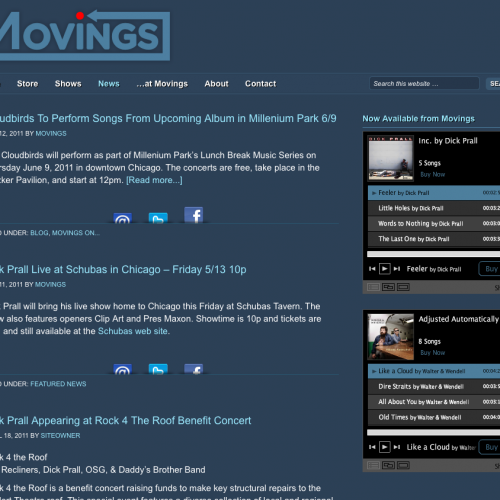 Please click on the images at right to view enlarged screen shots of the work we did for Movings.